In this career, you will analyze diagnostic information to provide a summary of findings for the physician. You will be able to recognize the difference between normal and abnormal images. Sonography is safe, accurate and helps to diagnose medical problems that the doctor cannot see without surgery. You will be working with people and helping them every day. Your job may help to eliminate unnecessary surgery or help facilitate more accurate surgery, thus helping people live healthier and more productive lives. The U. S Bureau of Labor Statistics anticipates that the demand for ultrasound technicians to grow 22 percent from 2014 to 2024. Many Diagnostic Medical Sonographers are employed in hospitals, ambulatory centers, and radiology centers. The Medical Sonographers not only scan parts of the body but are also responsible for maintaining equipment and orders supplies when needed. The program comprises of modules like Medical Terminology, Anatomy & Physiology, Ultrasound Physics, scanning modules like Abdomen, Vascular and Obstetrics and Gynecology. Throughout the program you will be asking questions and continuing to further your knowledge in the field. The exciting thing about any medical profession is that innovative discoveries are constantly being made, therefore you will be a continuous learner throughout your career. Sonographers are always moving, and that aspect of the work appeals to energetic people. You may need to help patients move or you may need to move equipment. You may be on your feet a lot, which some people see as a good thing. This is definitely not a desk job except for brief periods of filling out required forms or talking to patients. Sonographers enjoy a fast-paced work shift that combines a variety of duties with plenty of action. 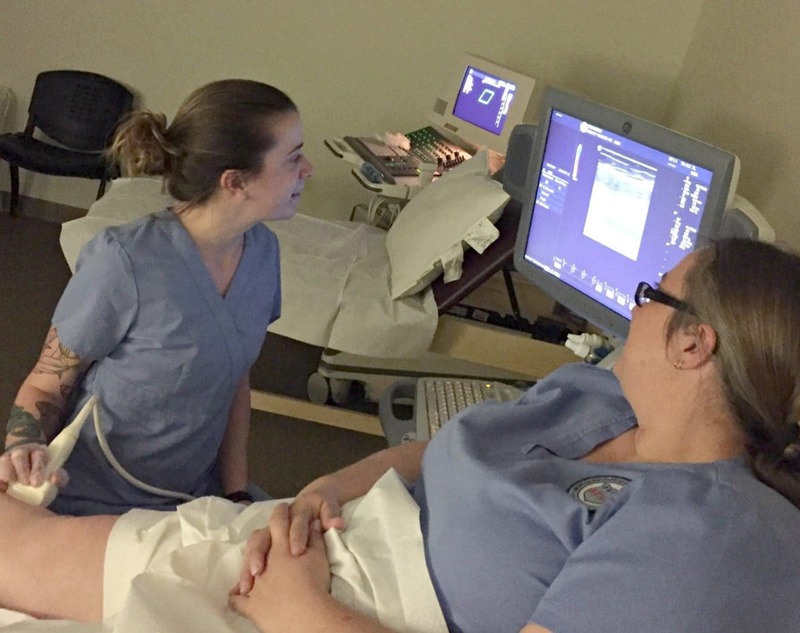 AIHT Education in Stratford, CT is now enrolling for the Diagnostic Medical Sonography program. If you are interested in learning more information you can e-mail contact@aihtedu.com or call 203-870-8400.